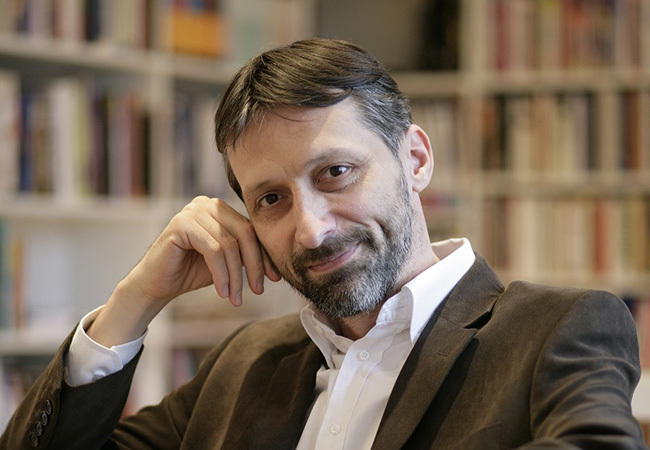 Miro Gavran (Gornja Trnava, 1961) is an author whose works have been translated into 35 languages, and his books have come out in 150 different editions in Croatia and abroad. Gavran earned his degree in Dramaturgy at the Academy of Dramatic Art in Zagreb. He first worked as a dramaturge and theatre director at the ITD Theatre in Zagreb and since 1993 he has been working as a professional writer. His plays have had more than 250 opening nights and have been seen by more than three million theatre-goers throughout the world (Rotterdam, Washington, Moscow, Rio de Janeiro, Paris, Buenos Aires, Waterford, Mumbai, Prague, Ljubljana, Sarajevo, Krakow, Belgrade, Athens, LA, Vienna, Sofia, New York, Antwerp…). He is the only living dramatist in Europe to have a theatre festival devoted solely to his plays outside his homeland: the Gavranfest has been held in Slovakia since 2003, and in Poland since 2013. Other than being a playwright, he published a number of novels, children’s and YA books and a short story collection. Gavran received more than twenty national and international literary awards, including the Central European Time Award and the European Circle Award. His theatre and prose texts have been included in numerous anthologies, and his work is studied at universities throughout the world. Together with his wife, actress Mladena Gavran, he founded the Gavran Theatre in 2002.